Left: Front and Back Cover. Rogers Sensei a news media editor and 3rd dan USA representative of the ` Ellis Schools of Traditional Aikido `. Rogers Sensei began collecting all the background knowledge - history and lineage of both Henry Ellis Shihan and Derek Eastman Shihan, who were both direct students of the legendary Budo Master Kenshiro Abbe Sensei from the 1950s and the birth of UK Aikido with K Williams Sensei at the famous `Hut Dojo`. Over a period of 15 years Rogers Sensei had collected so much information he asked Ellis and Eastman Sensei's for permission to turn all those pages in to a book - and ` Positive Aikido ` was born. See the collection of books from 1905 and books by Minoru Mochizuki from 1956 - books by Tadashi Abe Sensei - ` My Past Way of Budo ` by Masahilo Nakazono Sensei, including his books on Kototama and Inochi. Ellis and Eastman's diploma's are signed by Aikido legends - Morihei Ueshiba - Moriteru Ueshiba - Kenshiro Abbe - Mutsuro Nakazono - Masamichi Noro - TK Chiba. The book is a down to earth approach to Aikido as a Traditional Martial Art. Take note of the warning in the books introduction pages, advising student to keep their money in their purse if they are looking for fantasy Aikido, or floating around the universe. or other such bizarre modern Aikido Kidology this book is not for you. 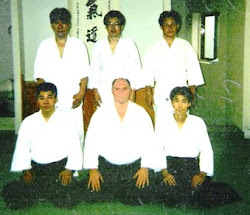 Ellis and Eastman studied with many Aikido legends, such as Kenshiro Abbe - Tadashi Abe - M Nakazono - J Nakazono - M Noro - H Tada - N Tamura - T Ishimura - H Kobayashi - T Otani - M Harada - TK Chiba. 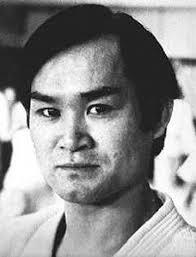 Kenshiro Abbe Sensei taught Aikido as Budo and so did Henry Ellis and Derek Eastman. The book is available on Amazon UK £10-95 - Amazon US $ 15-45. 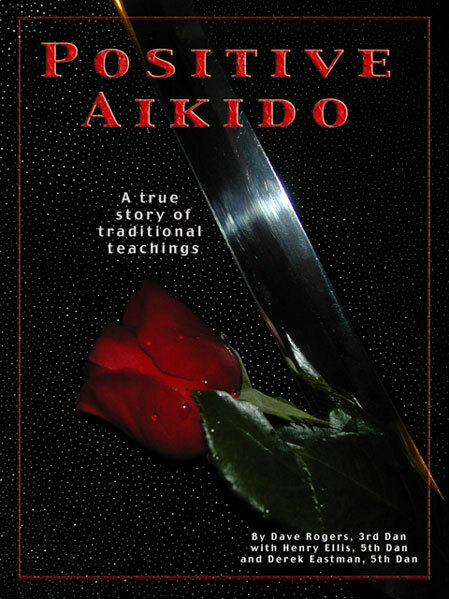 The Book ` Positive Aikido ` available on Amazon. Aikido - 1955 - 2015 - For those that studied with Sensei's Kenshiro Abbe - Tadashi Abe -Masahilo Nakazono - TK Chiba Sensei in those early days will remember their Aikido being true Budo, something that very few will ever see or feel again. 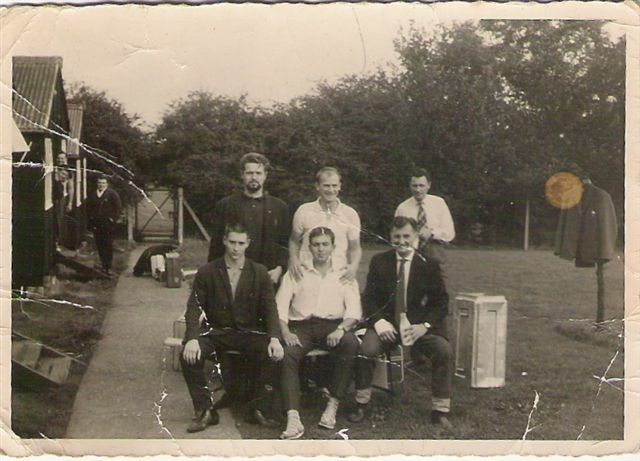 Photo: Grange Farm - Summer School 1960 ?.Front left- Derek Eastman.Back row- left Gerry Gyngell - centre Ken Williams. I asked Sensei Eastman to let the readers decide that on agreeing to this interview. 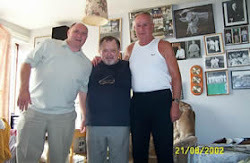 Q -DW:( David Wilson ) Sensei Eastman , first I would like to thank you for agreeing to this interview. A -SE: ( Derek Eastman ) My pleasure David. 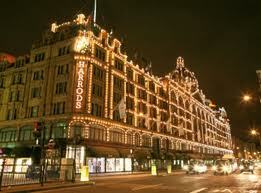 SE: West Kensington (behind Harrods) London. Q -DW: Sensei, you said at the beginning of this interview that " I made a brief start in 1958" what did you mean by a brief start? My teacher was still Sensei Ellis, I had only been back on the mat for about 4 or 5 lessons when one evening Sensei Ellis asked Sensei Williams to come on the mat and watch something. Ken Williams Sensei. A-SE: At this point Henry and I had become good friends outside of the dojo, yet on the tatami I would still give deference, and that is how it has always been even today. The Funeral Attendants. Bracknell & Basingstoke Dojos Click here Visit My Aikido & Judo Video Site ~ Click -> Henry Ellis Aikido & Judo Videos A growing collection of early and modern Aikido and Judo videos..H Ellis - D Eastman - H Foster - K Chiba - M Nakazono - K Abbe - T Abe. 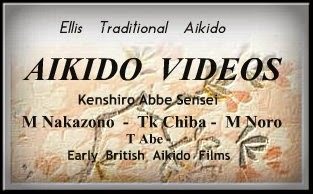 British Aikido Origins from 1955 - Narration & Movie Slide-Show by Henry Ellis ~ Arrival of Kenshiro Abbe Sensei in 1955 to the UK ~ Devlopment of British Budo. 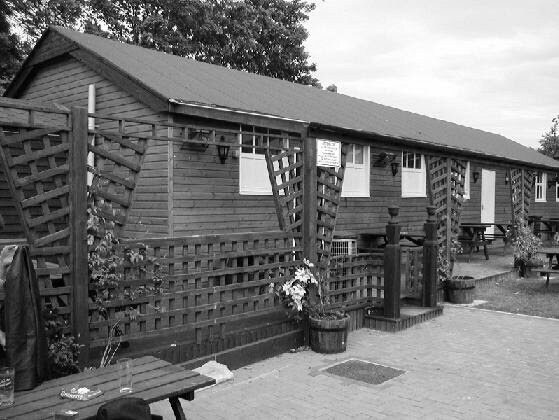 The Hut Dojo - The Birthplace of British Aikido. If you are interested in the true history and lineage of British Aikido from its inception in 1955 by Kenshiro Abbe Sensei ?...Read the bio of Derek Eastman who began Aikido in the late 1950s - he was such a natural student he soon became assistant to all of the eight pioneer dan grades, these eight were the first generation of Aikido dan grades in the UK, and all in one dojo..
(Dip) - Osensei Ueshiba - K Abbe - M Nakazono - M Noro - TK Chiba - Doshu M Ueshiba. 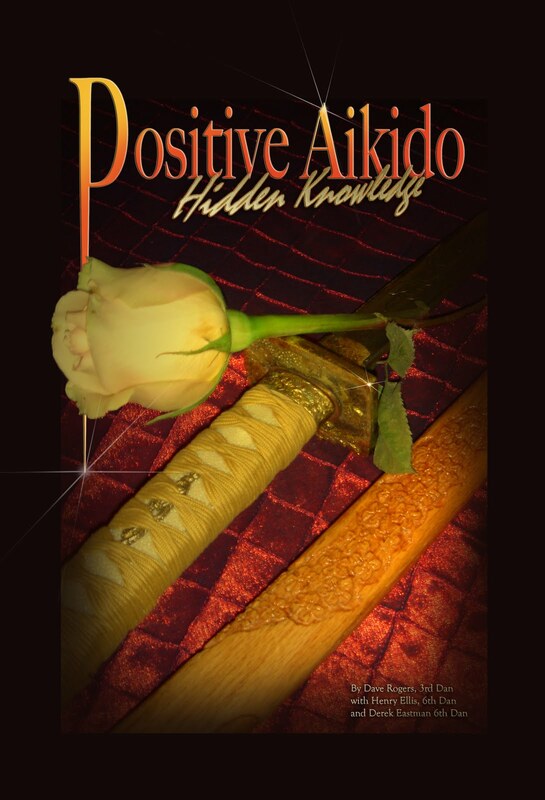 Eastman Sensei is the co-author of the book ` Positive Aikido ` ~ The new book ` Positive Aikido ~ Hidden Knowledge ` is nearing completion. Books authors: Dave Rogers NM USA ~ Henry Ellis UK ~ Derek Eastman UK. 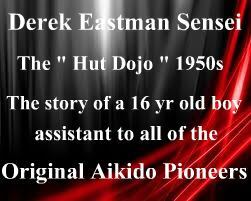 Derek Eastman Shihan Aikido pioneer - one of the last two surviving students of Kenshiro Abbe from the 1950s. 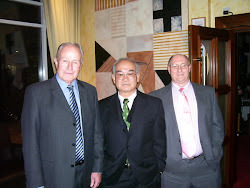 Right: Henry Ellis - Mitsusuke Harada - Derek Eastman join Harada Sensei at the TK Chiba Celebration in 2006. 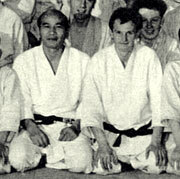 Harada Sensei was invited to the UK in 1963 by Kenshiro Abbe Sensei - He held his first classes at the Hut Dojo. 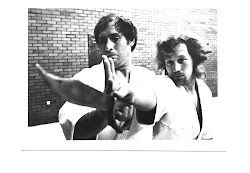 Harada had no students to begin with - Henry Ellis and Derek Eastman studied Karate with Harada, he in turn studied Aikido with them - Harada began to incorporate Aikido moves later into his ShotokaiKarate as can be seen in his teachings today. 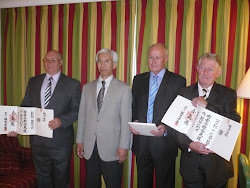 Ellis & Eastman Sensei's are co-authors of the book `Positive Aikido`- they are proud to have their diplomas signed by legends - Osensei Morihei Ueshiba - Kenshiro Abbe - Masahilo Nakazono - Masamichi Noro - TK Chiba - Doshu Moriteru Ueshiba. 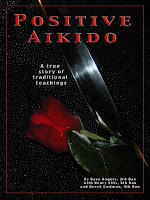 `Positive Aikido` a True Traditional Story. Techniques - History - Lineage - Anecdotes covering 55 years of Traditional Aikido. 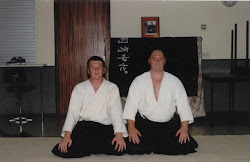 Henry Ellis & Derek Eastman both 6th dan AikiKai Hombu. - Diplomas signed by Osensei Ueshiba - Kenshiro Abbe Sensei - Mikoto Nakazono - TK Chiba Shihan - Doshu Moriteru Ueshiba..They are the last two pioneers of K Abbe Sensei's British Aikido from 1955.To purchase the book `Positive Aikido`. Order direct - please contact Dave Rogers Sensei the books main author. Please email Dave Rogers Email For price and postage. K Abbe - M Nakazono - M Noro - TK Chiba. 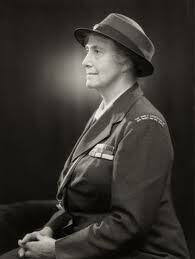 Click here for " A Man of Peace and Pieces "
Martial Arts Encyclopedia ` [accessed over 140,000 times] - Mr Jack Poole and the British Aikido Board conspired to change not only the legacy left by the late Budo Master Kenshiro Abbe Sensei but also the UK history of Karate - Kendo and Judo - This fraudulent conduct is also exposed on the following blogs ```British Aikido Board Exposed Blog ``` - - ``` Jack Poole Aikido Controversy Blog ``- What makes this whole disgraceful story of fraud and deceit of genuine Aikidoka of today and in the future, is the amount of people who despite the `proven facts ` were prepared to attempt to support not only Mr Poole but also the disgusting sham - maybe it was simply misguided loyalty - or maybe it was to protect their dubious grades ? 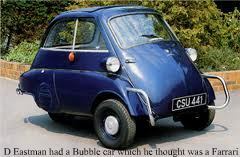 - or perhaps it is both ? Click -> ` Don Bayney Japanese Swords ` Japanese Swords - Katana - Tanto - Suba's - Antiques - Menuki - from Edo Period 1603 - 1868. K Chiba Sensei dies 5th June 2015 - R.I.P. 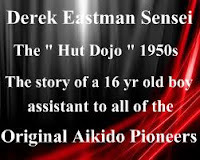 Photo: Derek Eastman....The biography of Derek Eastman Sensei offer those interested in the early days of UK Aikido an incredible insight as to how Aikido was in those early days, this is an Aikido history story like no other....Henry Ellis ..............Ellis Schools of Traditional Aikido - Classes @ Aikido Bracknell & Basingstoke Dojos - Visit -> Dojos . Click Logo Extensive video list – Aikido – Aikido in MMA – Judo - Kenshiro Abbe – M Nakazono – M Noro – Tadashi Abe – TK Chiba – H Ellis – D Eastman – Rik Ellis – Jay Dods Ellis - Many more martial arts videos. Derek Eastman ~ The Doshu ~ H Ellis ~ H Foster being presented with 6th dan at a private ceremony with the Doshu in Wales. 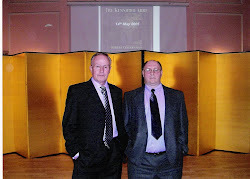 The "James Deans of Aikido "
Click photofor the Aikiweb article "Two Handsome Young Men" - Henry Ellis recalls the arrival of Kazuo Chiba Sensei to the UK in 1966 and the following impact on Aikido which would change forever. 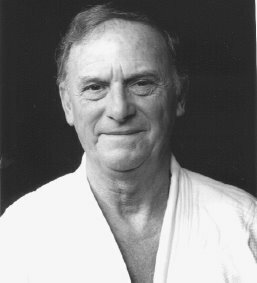 Bill Woods was the personal aide to Kenshiro Abbe Sensei from the 1950s, we had remained good friends with Bill until his death in 2006. 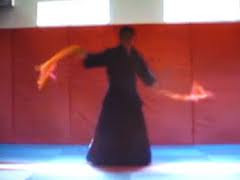 Click photo " Is Aikido a Martial Art ? "- - R.I.P. Kenshiro Abbe Sensei. 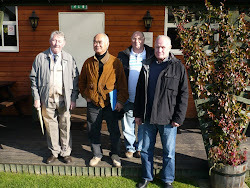 British Aikido Board ` more ` Intimidation. Visit the "British Aikido Board" Blog to read of the British BiranKai London AikiKai website content that has the BAB chairman blowing smoke from his exhaust. The British BiranKai mentioned the words -Traditional - History - Lineage which are considered offensive by the BAB. B A B - Exposed the Truth. 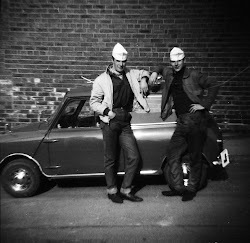 Click image - British Aikido Board .The BAB blog - a site that keeps the public & members informed of what the crass BAB are up to..
Derek Eastman working in a steel factory in the North of England for a short time to fund the adventure. 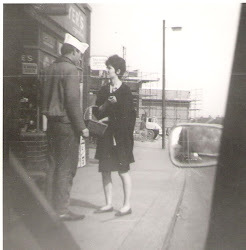 Henry Ellis chatting up the factory `lasses` for some free accomadation. 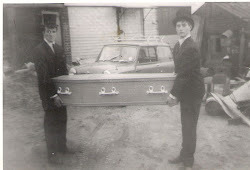 Derek Eastman successfully begging for food and accommodation in the North ..
H Ellis & D Eastman working as undertakers assistants to fuund their journey. Derek Eastman visits the Osaka AikiKai. 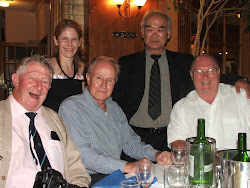 L to R ~ H Foster ~ H Ellis ~ TK Chiba ~ D Eastman. Derek Eastman and Henry Ellis were invited by Chiba Sensei to be guests at the 40th celebration of Sensei's arrival in the UK. Henry Ellis ~ Mutsukie Harada ~ D Eastman. 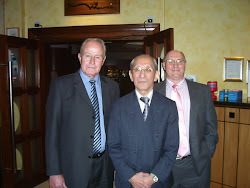 at the T K Chiba Celebration dinner...We studied with Harada Sensei when he first arrived in the UK in 1963. Sensei Derek Eastman and his son Mark. Tomio was a good friend of mine, he would teach me Kendo and I would teach him Aikido...We had good times both in and out of the Dojo...RIP my friend..
L to R ~ H Foster ~ TK Chiba ~ D Eastman ~ H Ellis....Chiba Sensei makes the first visit to the Hut Dojo since 1967. The Big Knife ~~~ Derek Eastman with Ken Beak one of the first dan grades in the ESTA.